I invite proposals for a special issue of Studies in Theatre and Performance exploring the relationship between performance, activism and housing in conditions of crisis. Please do pass this CfP on to anyone you feel might be interested in contributing. This Housing, Activism and Performance special issue will investigate how and under what conditions performance and performative practices have historically and might currently, productively (or otherwise), respond to conditions of housing inequality. The right to safe, decent housing is commonly understood as a fundamental human right; enshrined in the Universal Declaration of Human Rights and the International Covenant on Economic, Social and Cultural Rights. Despite this, the right to adequate shelter and housing is, globally, under threat. As population growth and the emptying of rural communities leads to congested megacities, housing conditions become increasingly disorganised and shambolic (Brown 2003). 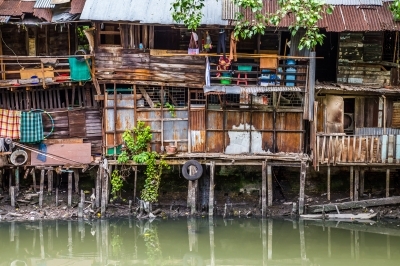 In 2009, a report published by the Office of the United Nations High Commissioner for Human Rights indicated that millions of global citizens face insecure housing conditions — with over two million forced evictions annually, and hundreds of millions of slum-dwellers living in overcrowded and unsanitary conditions (OHCHR 2009). According to the 2005 United Nations Commission on Human Rights report, there were over 100 million ‘homeless’ people worldwide half-way through the first decade of the twenty-first century (UNCHR 2005). As David Harvey (2008) points out, the neoliberal trend towards owner occupation has exacerbated existing housing crises and resulted in a global crisis of affordable housing. Over the past decade or so, a global ideological shift has transformed houses from ‘homes’ into individual units of financial investment — a development of wider shifts towards privatization that have been ongoing since at least the end of the twentieth century. The collapse of the sub-prime mortgage market (as aspirational homeowners defaulted on unaffordable loans) was widely reported to have played a significant role in the 2007/8 financial crisis and subsequent global recession. Across the world, many people who had been unable to keep up with mortgage payments found themselves under threat of eviction or repossession. This has deepened local and global inequality, intensifying the displacement and disenfranchisement of those unable to buy their own homes. Artists, activists, academics and policy makers have responded to local and global housing crises in myriad ways. In Detroit, the Heidelberg project, launched in 1986, drew attention to the neglect of the city’s suburban houses, and facilitated ongoing protests against the City of Detroit’s plans for urban development. In 2011, in cities across the world — including Amsterdam, Hong Kong, London and New York —people disenchanted by capitalism chose to respond to the state of the financial system with ‘Occupy’ protests. Protesters took over public (and public/private) spaces using makeshift tented dwellings — symbolically referencing the fact that the recession had threatened the individual right to basic shelter. In 2016 Camden People’s theatre hosted a festival ‘Whose London is it Anyway?’, which explored the ways in which unaffordable private housing and the decimation of existing social housing provision is leading to a so-called ‘social cleansing’, where the city becomes unaffordable to all but the richest residents. This special issue aims to bring together insights from across disciplinary fields to expand our understanding of performance in conditions of local, national and global housing crises. · What are the intersections between performance, artistic practices and housing activism? · How does performance practice offer productive strategies for resistance? · What is the complicity of creative practices in creating and sustaining housing inequality? · What is the impact of gentrification on the cultural practices of urban and suburban spaces? · How do conceptions of home impact on our understanding of the housing crisis? · How might performance address the absence of ‘home’ from wider debates about the housing crisis? · How have policy interventions in social housing intersected with creative and performative practices? · In what ways have representations of social housing spoken to the housing crisis? · How have government austerity policies been understood and represented through creative engagements with housing conditions? · What is the impact of austerity on the creative practices of the city – including the ability of artists to live in ‘adequate’ homes? · How do responses to the current crisis speak to responses to historical housing crises and vice versa? · How far might we understand the housing crisis as a product of our time – and how might we conceptualise it as timeless? · What does homelessness mean and how has it been conceptualised in light of the housing crisis? · How might creative and resistant responses to homelessness help us to address housing inequality? · What are the intersections between performance practice and housing beyond the crisis? · How might the staging of ‘house’ and ‘home’ operate outside of a ‘resistance’ model? · How have imagined solutions to the housing crisis been articulated through performance? · How might performers stage creative solutions to the crisis so that they directly impact housing policy?